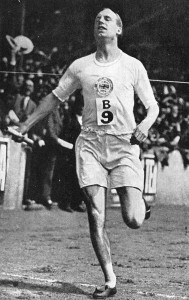 The classical musical piece Finlandia and Olympic runner, Eric Liddell – of Chariots of Fire fame – are actually connected in a unique way. You are probably asking how are they related. Right? Well, Finlandia is a popular piece of classical music written in 1899 by the Finnish composer, Jean Sibelius. It debuted July 2, 1900, in Helsinki, Finland, performed by the city’s Philharmonic Orchestra. The piece is powerful musically – at times turbulent. Sibelius did this purposefully to demonstrate the national struggle of the Finnish people throughout their history. Near the end of the composition, though, a calm comes over the orchestra, and we are introduced to the beautiful melodic Finlandia Hymn. This poignant hymn is sometimes mistakenly thought to be traditional Finnish folk music. However, that is not correct. The hymn was intentionally created by Sibelius to end his magnificent composition about his beloved country. The beautiful Christian hymn, Be Still My Soul, is sung to the melody of Finlandia’s hymn. 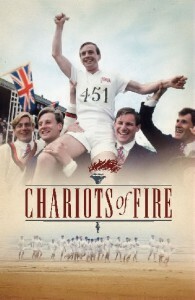 This inspiring hymn of encouragement was the favorite hymn of the great Eric Liddell, the famous “Flying Scotsman” – who was featured in the 1981 movie, Chariots of Fire. Liddell became an Olympic champion in 1924, running the 400 Meter in record time to win the Gold Medal. This was indeed an IMPRESSIVE Achievement. I do not want to downplay his Olympic achievement, but it was child’s play compared to his challenging experiences as a missionary in China. Though schooled in Scotland, Eric was born in China to Scottish Presbyterian missionaries. 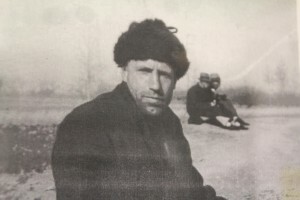 He had always wanted to be a missionary himself, and a year after the 1924 Olympics he returned to China to live out his missionary dream. When the war between the Chinese Nationalists and Chinese communists began in 1936, living in China became extremely dangerous. That would worsen after China was invaded by Japan and was pulled into the horrific World War II. Eric sent his wife and children to Canada because of his concern for their safety, but he stayed believing his work for the Lord was not yet completed. In 1943 the Japanese put Liddell in one of their internment camps in Weishien, China. There was no water, heat, sewer system – nothing to make life a bit easier. Many believed that Weishien was Liddell’s GREATEST test – a REAL TEST OF HIS FAITH. Eric’s health began to fail rapidly, and by early February 1945 he knew his days were numbered. Lying in a makeshift hospital bed, Eric requested that his favorite hymn be played. As he lay in his bed he heard the beautiful vibrations of Be Still My Soul – Finlandia’s hymn — played in his honor. He thought of the powerful words to the song. Words that were his focus for living. Liddell would die the following day — on February 21, 1945. He was 43 years old. An autopsy later revealed that he had a large tumor on the left side of his brain. This man was truly committed to the cause of Christ. He poured his life into the work of reaching the lost in China. He worked for a prize far greater than gold, even Olympic gold. 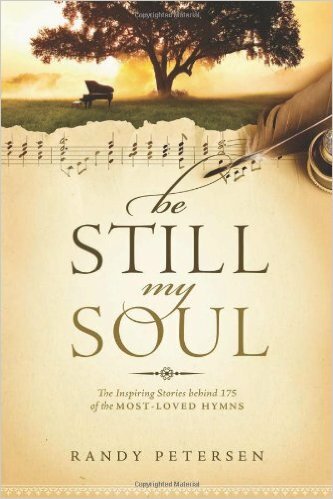 Be Still My Soul is a hymn of encouragement, providing the powerful message that God is with us through the worst trials possible. We simply need to still our own turbulent emotions and fix our eyes on our Lord. We need to become quiet so we can hear the Still Small Voice Within – guiding us and helping us FEEL God’s powerful Presence and Love. Please listen to the beautiful Hymn, Be Still My Soul, and meditate on the strength, courage, and faithfulness of our God, who is with us ALWAYS – even unto the end of our time on earth. Be blessed, and be encouraged, dear readers.